Hi, I’m Jazmine and I’m 14. I am the oldest and I have twin sisters. 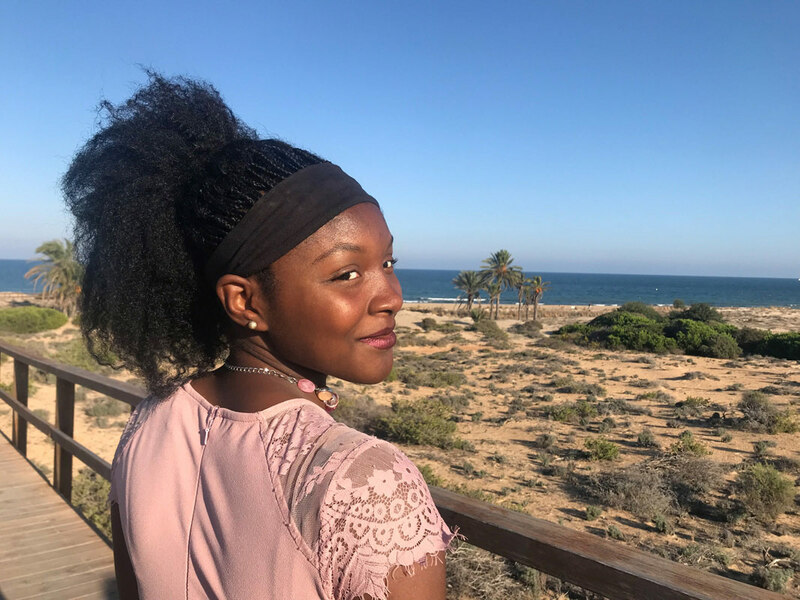 I am one of 15 teenagers selected from across the U.S. to participate in Microsoft’s inaugural Council for Digital Good. I’m excited about the opportunity to share my journey online. Technology plays a huge role in my life at home, at school and socially as part of my daily activities. I go online with my computer and other devices like my iPhone 6, Chromebook, iPad and iPod. Personally, I spend about an hour and a half a day online. About half an hour is spent on social sites like YouTube, Instagram, Twitter and playing online video games. I spend at least an hour daily on research and general learning using collaborative web platforms like Wikipedia. I also use Chrome and Internet Explorer to research issues and topics that may be at the center of a debate club discussion that week. So yes, I am a digital native. Growing up in this tech world. In my “free time” if there is ever such a thing, I am in Color Guard and the President of Debate Club at my school (yes, so don’t @ me! ☺). I love to travel and learn new languages, like Japanese! 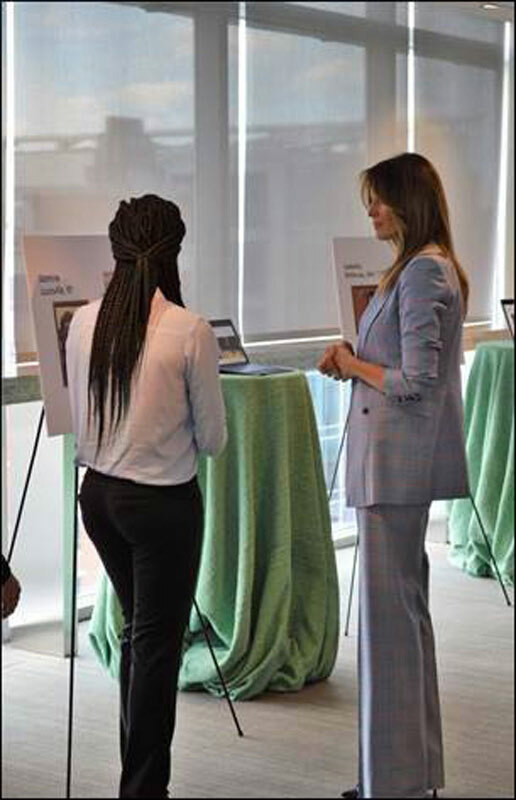 Explaining my individual manifesto on digital civility to the First Lady, Melania Trump, DC. July 2018. I joined the Microsoft Council for Digital Good in April 2017. The Council is working to advance digital civility and to make online interactions safer for children and teens like me!The goal of the Council for Digital Good is to encourage empathy and kindness in online interactions and to promote treating others with respect and dignity. We started the Council to connect with youth in a meaningful way about some important online safety issues, including online bullying, the proliferation of hate speech on the web and sextortion. 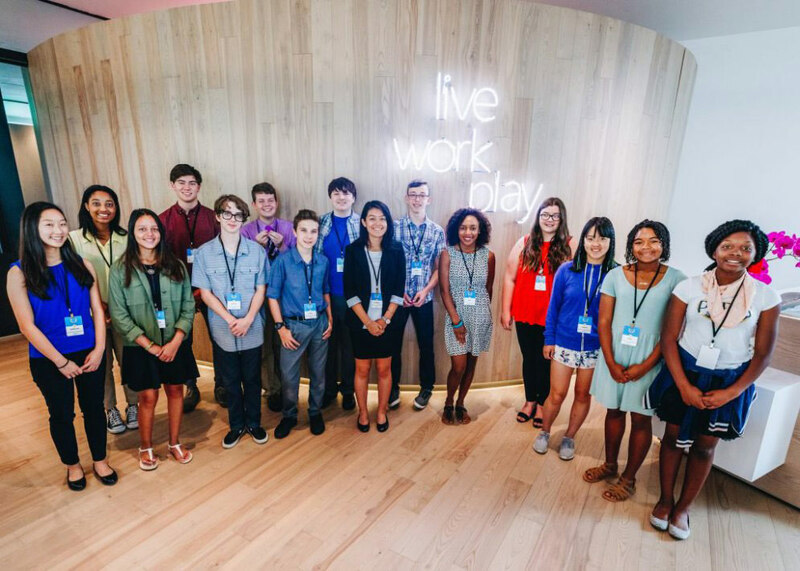 Microsoft wanted to hear and learn from teenagers like me and leverage me as a sounding board for their youth-focused policy efforts. The Council holds one conference call per month with a special agenda. Topics range from upcoming projects and assignments to guest speakers. Council members are given the opportunity to engage with leaders of non- profits, authors and even representatives from the United Nations agencies. In turn council members provide their thoughts and perspectives to these other groups. So far, the Council has engaged in discussions on online safety issues, combating cyberbullying and harassment and the importance of online reputation management. We have created an artistic and creative manifesto to help guide behavior and life online. 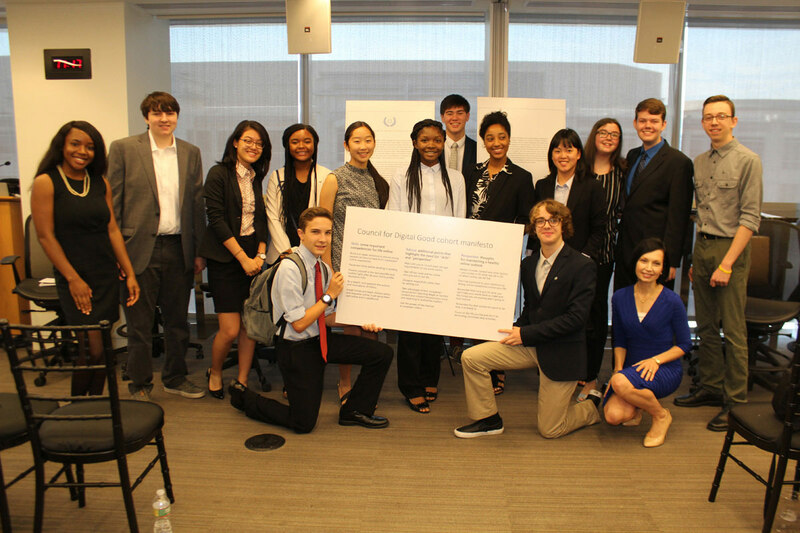 In the summer of 2018, the Council for Digital Good met with policy makers, technologists, academicians and non-profit leaders in D.C to talk about issues related to children and technology and the role the government and private sector plays. We presented our open letter to policy makers. The highlight of the visit was meeting the First Lady of the United States of America, Melania Trump. We shared our ideas for fostering digital civility: safer and healthier online interactions among all people and learned about her campaign, BE BEST. 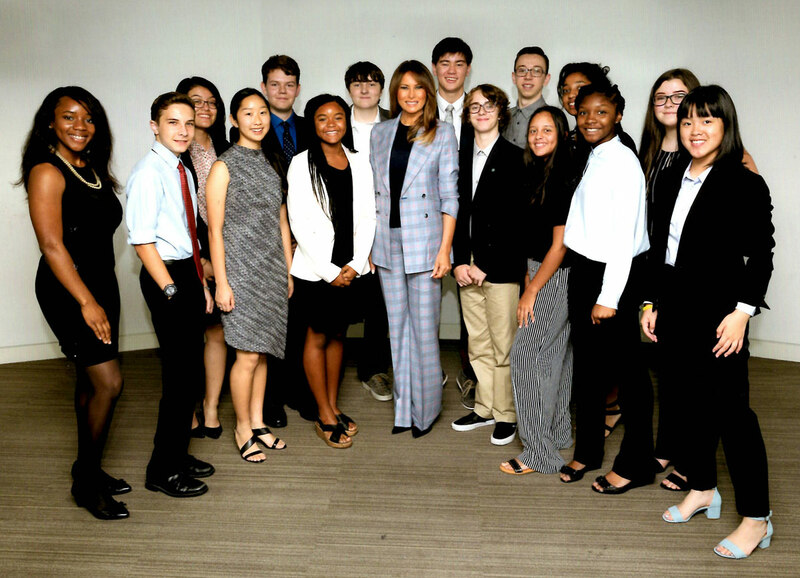 The Council for Digital Good met with FLOTUS in DC in July 2018. I’m pictured third from left. Now, I’m a Member of the Council, So What? Presenting our open letter to U.S. law and policymakers about working together to improve life online. Here’s what I’ve committed to do as a Member of the Council and I’m not taking it lightly. 1. I will educate others. My city, Louisville, is on its path to becoming a gigabit city, which means that ultra-high-speed broadband is available citywide at speeds of 1 gigabit per second or faster. As young people now have easier access to the Internet, they also need to be educated on appropriate use of the Internet. I will help youth and their parents/guardians understand that our digital footprint is important and that any information we post online is permanent and follows us for the rest of our life. 2. I will recommend that the council invite some social influencers, many of whom have massive followings across multiple platforms, to help share this message. These partnerships will inspire them to use their celebrity status to reach out on behalf of this cause. I think there are opportunities to have these influencers amplify the voice of this important issue. 3. I will be an “ambassador for digital civility”. 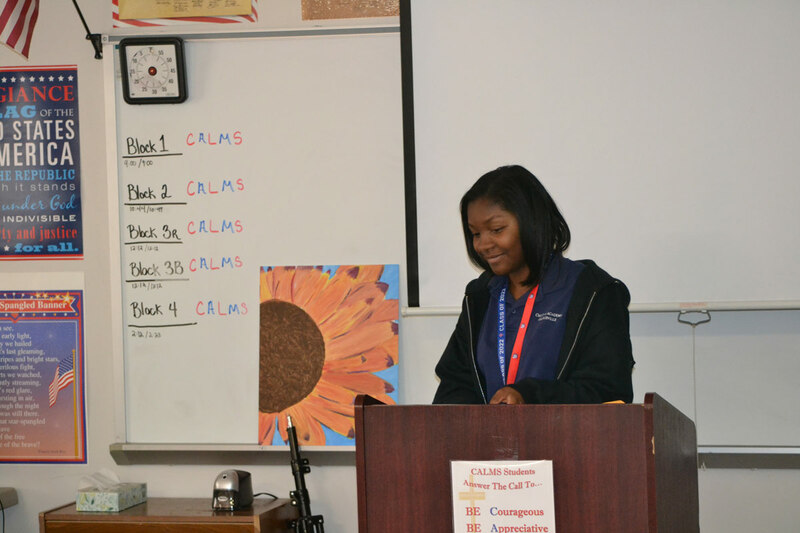 I will organize campaigns in partnership with my school and the city of Louisville. 4. I will advocate that the producers and providers of technology build in as many safety features as possible to help us make more informed choices. 5. I will raise public consciousness about the grave acts of labor and commercial exploitation in the U.S. and around the world. 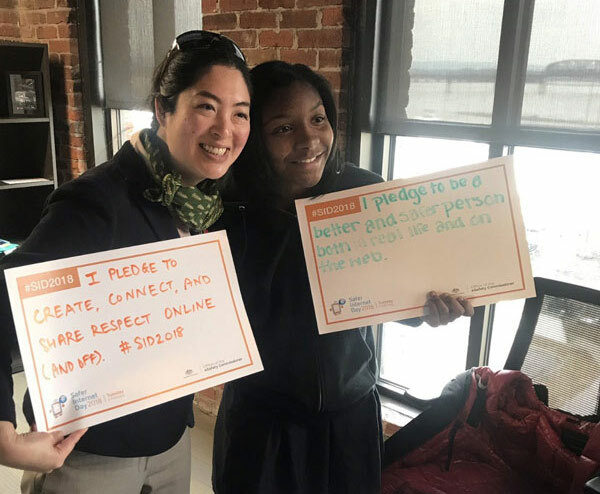 Being on the Council has given me an opportunity to learn and share with others while pushing toward “digital civility” – healthy behaviors for youth both online and offline – that are grounded in respect, constructive interaction and inclusion. I met with Grace Simrall, Chief of Civic Innovation and Technology at Louisville Metro Government to discuss Louisville’s Digital Inclusion Plan. Here are my ideas on ways in which teens can be good digital citizens online. 9. Google or “bing” yourself every now and then. 10. Remember, sending is publishing forever. No turning back. SID is celebrated every year on the first Tuesday in February. 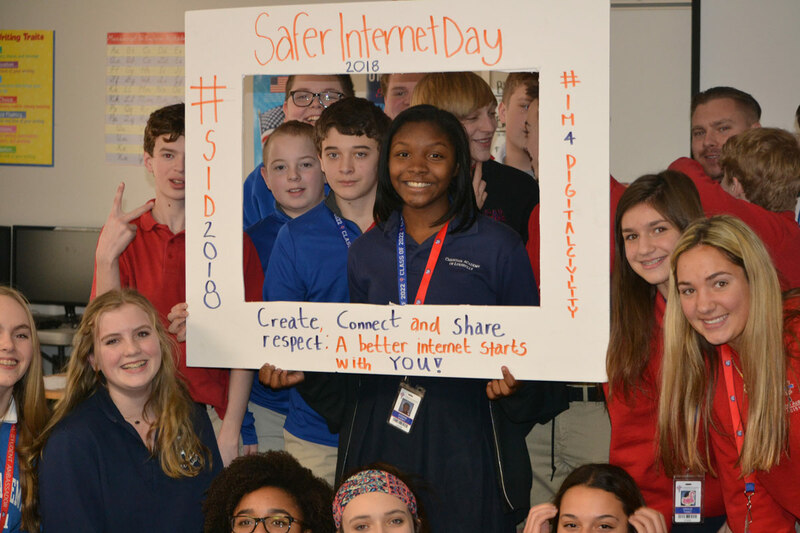 Though many people in the U.S. are still not very familiar with Safer Internet Day and what it stands for because although it was started in Europe in 2004, it just gained official recognition in the U.S. in 2012 with a joint agreement between the U.S. department of Homeland Security and the European Commission to build a better Internet for young people. In the U.S. 93% of teens, ages 12-17 are online. While online technologies present many possibilities to communicate, learn new skills, be creative and contribute to society, online technologies also bring new risks. They can expose youth to potential dangers like illegal content, harassment, and personal data misuse. Digital Citizenship is knowing it is not about just recognizing and dealing with online hazards, but that it’s about building safe spaces and communities, understanding how to manage personal information and about being Internet savvy. There is no silver bullet solution to protect children and young people online. This is a global issue that requires a global response from all segments of society. 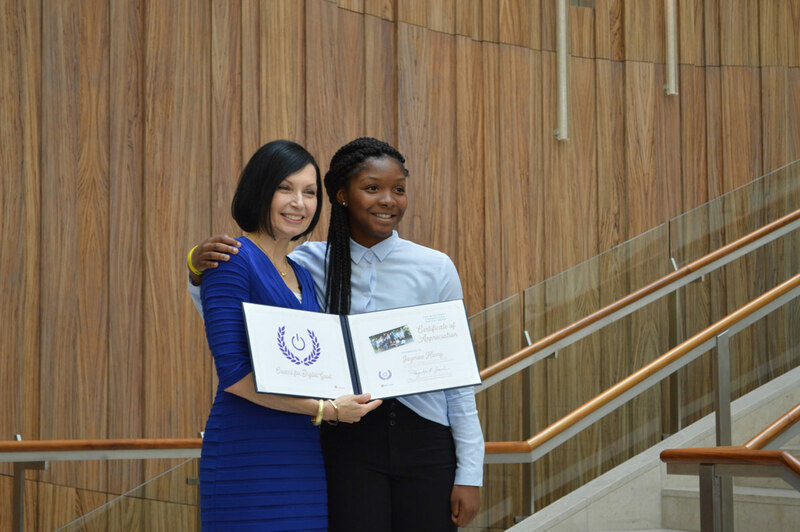 I am pictured here with Jacqueline Beauchere, Chief Safety Officer, Microsoft at our second year retreat in DC, July 2018. Microsoft Council for Digital Good Blog (awesome blog by the Council Leader and Chief Safety Officer, Jacqueline Beauchere. Do you want to host a Safer Internet Day in your school? Planning is underway for 2019, so get in touch. I’ll be happy to help you out.